Home / Blog / Home Rodent Control: DYK You Can DIY? Home Rodent Control: DYK You Can DIY? About 30% of American households experience rodent problems. Stereotypes may paint people with pest problems as unclean, living in slums, or as an affliction relegated to rural areas. 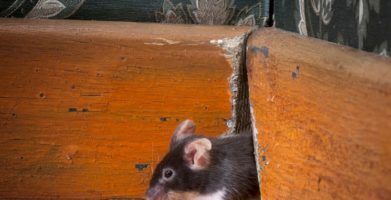 The reality is rats and mice invade any place they can, whether it be brand new construction, an old farmhouse, an upscale condo or income-based housing. Rodents have the same basic needs we do: food, water, and shelter. 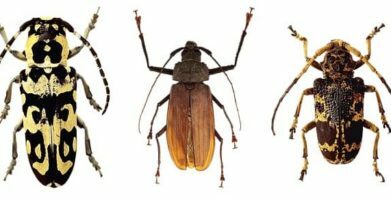 They are opportunistic survivalists and have succeeded as a species by living alongside us. The pest control industry makes over $100 million annually in retail rodenticide sales. Numbers speak louder than words and a number that large makes it clear that rodents are a big problem. Calling in professional help can cost hundreds or even thousands of dollars depending on the size and type of property and infestation. The costs of not addressing a rodent problem can be even more severe. Rodents are known to carry upwards of 35 diseases that can be passed to humans, many of which are fatal. At least 8% of house fires every year are attributed to rats and mice. Ever-growing incisors cause them to chew or gnaw on anything softer than their teeth such as electrical wires or precious possessions. Solving a rodent problem, or better yet, preventing one doesn’t have to be an expensive or overwhelming experience. Many people have successfully combated rodent problems by taking the do-it-yourself approach. Kari Block, a mother and farm wife, pioneered a rodent repellent that has been proven safe and effective for repelling rats and getting rid of mice when used as directed. Since 1995, Fresh Cab® Botanical Rodent Repellent has been protecting farms and families. What makes Fresh Cab so effective is the fact that it repels rodents rather than attracting and then trapping or killing them the way other products do. Safety is another important concern when it comes to rodent control. Fresh Cab is made from plant fibers and essential oils, so it is completely safe to use around pets and children, unlike traps or poisons. Remove anything rodents may find attractive keeping their basic needs of food, water, and shelter in mind. Store food and personal items in chew proof containers. Avoid leaving pet food out all the time – instead only set out one serving at meal times and remove when finished feeding. Keep trash in a receptacle with a lid. Find and seal potential entry points rodents may use. Keep in mind that mice can fit through an opening the size of a pencil eraser. Use steel or copper wool and silicone caulk to seal openings cracks in a building’s foundation or gaps around windows. Install door sweeps along doors. Make sure dryer vents and chimneys are properly maintained. Place Fresh Cab pouches anywhere you have seen signs of rodent activity and near potential entry points. 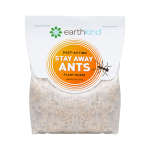 For preventative use in non-infested areas, place 1 pouch for every 125 sq. feet, scent lasts up to 90 days. 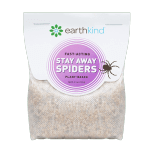 For use in currently infested areas, increase use to 1 pouch per 8 sq. feet of floor space and replace every 30 days. Fresh Cab offers peace of mind from the dangers of rodents and the risks associated with other rodent control methods. The Federal EPA has registered Fresh Cab for indoor use after multiple independent studies consistently demonstrated its effectiveness. To learn more about this product, find it in a store near you, or order it online. About 30% of American households experience rodent problems. Stereotypes may paint people with pest problems as unclean, living in slums, or as an affliction relegated to rural areas. 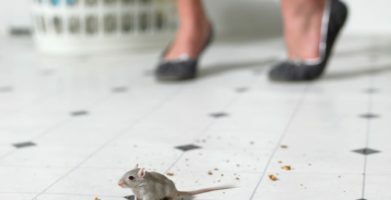 The reality is rats and mice invade any place they can, whether it be brand new construction, an old farmhouse, an upscale condo or income-based housing. Rodents have the same basic needs we do:  food, water, and shelter. 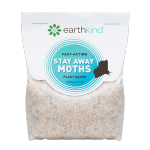 They are opportunistic survivalists and have succeeded as a species by living alongside us. 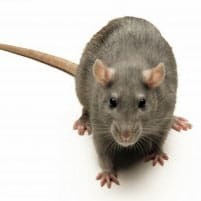 The pest control industry makes over $100 million annually in retail rodenticide sales. Numbers speak louder than words and a number that large makes it clear that rodents are a big problem. Calling in professional help can cost hundreds or even thousands of dollars depending on the size and type of property and infestation. The costs of not addressing a rodent problem can be even more severe. Rodents are known to carry upwards of 35 diseases that can be passed to humans, many of which are fatal. At least 8% of house fires every year are attributed to rats and mice. Ever-growing incisors cause them to chew or gnaw on anything softer than their teeth such as electrical wires or precious possessions. Solving a rodent problem, or better yet, preventing one doesn't have to be an expensive or overwhelming experience. Many people have successfully combated rodent problems by taking the do-it-yourself approach. Kari Block, a mother and farm wife, pioneered a rodent repellent that has been proven safe and effective for repelling rats and getting rid of mice when used as directed. Since 1995, Fresh Cab® Botanical Rodent Repellent has been protecting farms and families. What makes Fresh Cab so effective is the fact that it repels rodents rather than attracting and then trapping or killing them the way other products do. Safety is another important concern when it comes to rodent control. Fresh Cab is made from plant fibers and essential oils, so it is completely safe to use around pets and children, unlike traps or poisons. Avoid leaving pet food out all the time - instead only set out one serving at meal times and remove when finished feeding. Find and seal potential entry points rodents may use. Keep in mind that mice can fit through an opening the size of a pencil eraser. Use steel or copper wool and silicone caulk to seal openings cracks in a building's foundation or gaps around windows. Fresh Cab offers peace of mind from the dangers of rodents and the risks associated with other rodent control methods. The Federal EPA has registered Fresh Cab for indoor use after multiple independent studies consistently demonstrated its effectiveness. To learn more about this product, find it in a store near you, or order it online. string(37) "Home Rodent Control: DYK You Can DIY?"